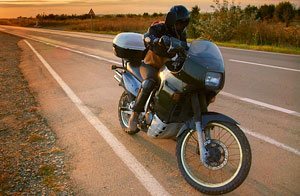 As a motorcycle rider enjoying the open road in Pennsylvania, it is always important to be aware of the latest Pennsylvania motorcycle laws. The list below highlights some of the notable Pennsylvania laws, but this is not a complete list. There may be further details and provisions that are not enumerated here. 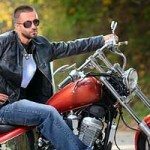 For full explanations and complete details, a Pennsylvania motorcycle attorney is your best resource. The following laws apply to any motorcycles being driven on highways in Pennsylvania. Some provisions may not apply if you are only riding off-road. If you have any questions regarding these laws or any others, please call Pennsylvania motorcycle accident lawyer Lee D. Gaber, Esquire at 888-292-5352 (888-CYCLE-LAW). Motorcycles must have a suspension system on at least the front wheel. Handlebars cannot be higher than shoulder height when in a seated position. The motorcycle must have 1-2 red brake lights on the rear. Riders and passengers must wear helmets. There is an exception for drivers over 21 who have had a valid Class M license for at least two years or have taken an approved motorcycle riding safety course. Passengers over 21 whose drivers comply with the above stipulations are also exempted from the law. Helmet speakers are allowed for communication purposes only. Motorcycles are entitled to full use of traffic lanes, not required to share space with automobiles. Passing in the same lane as another vehicle is not allowed. Operating in-between lanes is not allowed. Riding up to two motorcycles abreast in one lane is permitted. Footrests and handholds are required for passengers, and passengers must ride in a permanent and regular seat. Drivers and passengers may not carry packages or other cargo in their hands, as this may impede their ability to operate the vehicle or to hold on. Motorcycles are required to be inspected annually at a time determined by your month of registration. Knowing and complying with the Pennsylvaniai motorcycle laws makes the road a safer and more fun place for all riders. 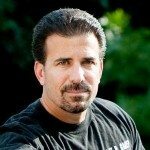 Lee D. Gaber, Esquire is a Pennsylvania motorcycle accident attorney who is also a rider. He can be reached at 888-292-5352 (1-888-CYCLE-LAW).